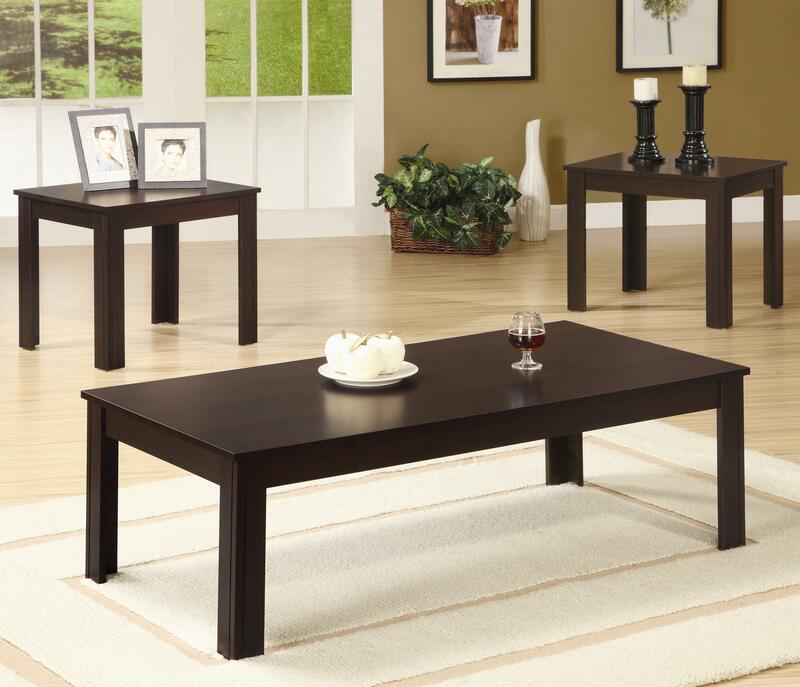 This casual three piece occasional table set is a fine example of simplicity at its best. A rectangular coffee table and twin end tables come in a classic shape that blends beautifully with casual or traditional styles of decor. Visible wood grain on the base is contrasted with a smooth, unblemished table surface for placing drinks or displaying decorative accents. Simple legs continue the fluid lines and modest design of this living room end table set. The entire set is available in a black or dark walnut finish, granting you the classic look you love in a finish that won't clash with existing decor. The Occasional Table Sets Casual Three Piece Occasional Table Set by Coaster at Corner Furniture in the Bronx, Yonkers, Mount Vernon, White Plains, Manhattan, NYC, New York area. Product availability may vary. Contact us for the most current availability on this product.